Session 1. Clearing “encodement” activation to release historical patterns of limitation, polarity, doubt, fears and resistance to change in the subconscious mind. We will discuss why clearing is important for enhanced awareness; how to recognize the blocks in awareness; how blocks develop in the birth process and early childhood; how blocks affect your different energy systems, chakra flows, auric field and soul-body-source connection; and how blocks affect the body’s health. Session 2. Alignment “encodement” activation for accessing higher and expanded awareness, unity consciousness, and the unified field of possibility and miracles. We will discuss what is higher consciousness and why that is necessary for the journey into New Earth; why some do not “hold” heightened consciousness; and the possible misuse of these higher energies. Session 3. Integration and embodiment “encodement” activation for all levels of planetary expression of one’s innate gifts, talents and inner knowingness for life path expression and self mastery. We will discuss why the embodiment and physical expression of Unity Consciousness is necessary in the ascension process and practical steps and tools to help with full integration of one’s vision and mission for this incarnation. Unexpected miracles of any order …….. Intro and overview of class. Q & A with phone callers on Theme of the day. 20-30 minute encodement activation. Energy will run for 72 hours as a live and evergreen activation. 90 to 120 minutes depending on the Q & A portion. Kenji is, at heart, an esoteric philosopher and one who studies the “Science of the Soul”, and provides insight into the nature of Consciousness and the energies behind Creation and the laws of Manifestation and Healing. Kenji is a visionary, quantum navigator, transformational catalyst and guide. He received his M.A. in Education and teaching credentials in 1979. His background includes extensive studies between 1969-2006 in Energy systems, Trans-Personal Psychology, Spiritual Psycho-Therapeutics, Holistic Education of young children, Trager Psycho-Physical Integration, Traditional Reiki system, Matrix Energetics, ACCESS. Mind Dynamics, Ho’O Ponopono, Jin Shin Jyutsu and many darshan hugs with Amma. His specialty is complimentary energy medicine and consciousness enhancement: spiritual emergence and awakening for the new millennial and mid-life generations. Since 2011, Kenji has been a popular tele-summit show presenter and since 2007 has offered his unique live quantum retreats in many states, Canada and Australia. His online Moon and specialty series has been very well received the past 5 years. His Membership Program is becoming popular, as well as his Sedona Vortex Activation hikes. 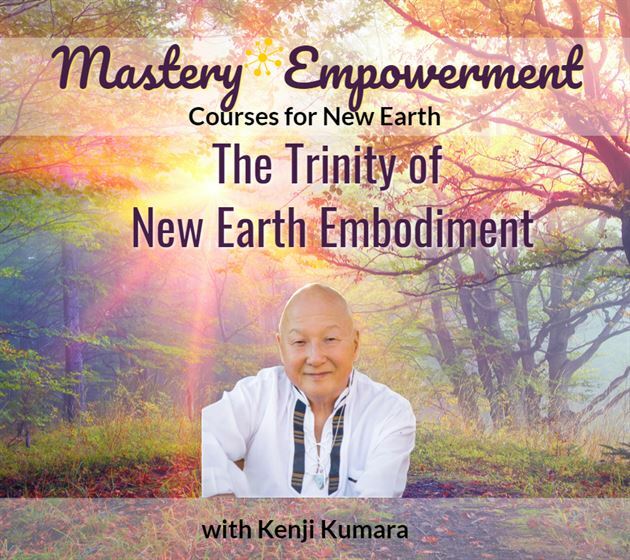 Kenji is now offering his Quantum Mastery training program to a select few who desire to carry on the work. Kenji serves to Illuminate – Liberate – Empower through Trust, igniting Joyful Connection Within. Why do I feel stuck in this particular area of my life? Why do I always seem to block myself when I get to this point of being successful ? How can I be in a marriage and do my spiritual work, when I am having a very hard time?